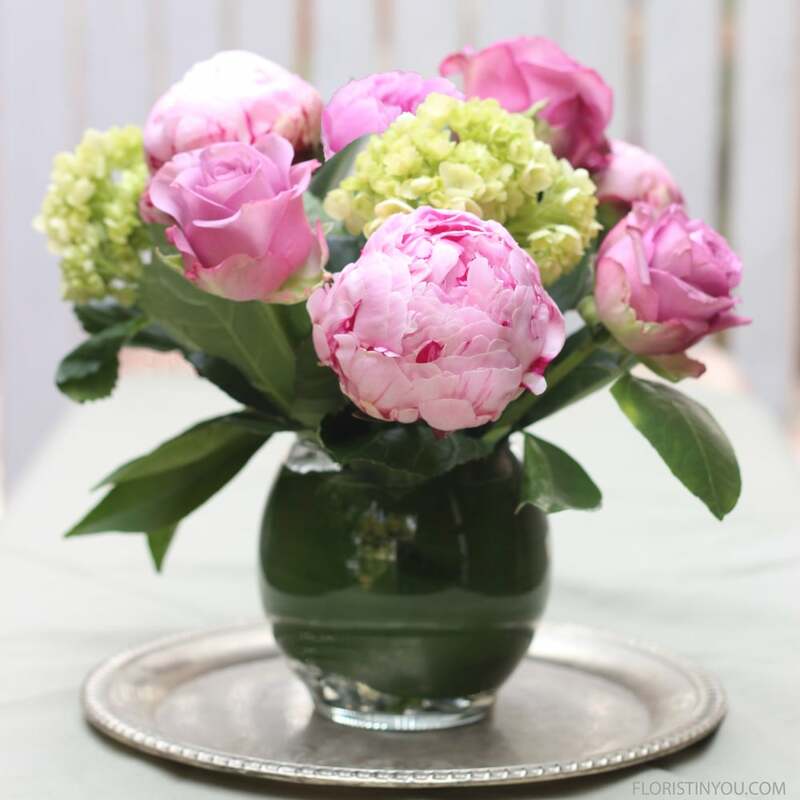 This is the perfect small arrangement for a centerpiece, or to give to a friend. It is easy to make. 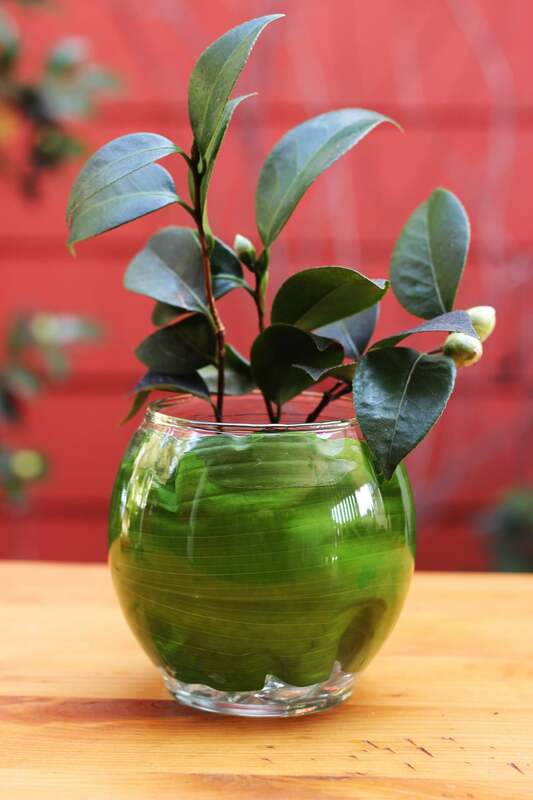 The tea leaf inside the glass vase gives it a finished modern look. It is the first week in January and these beautiful Peonies are out. The color is cheerful and they have a fresh smell. 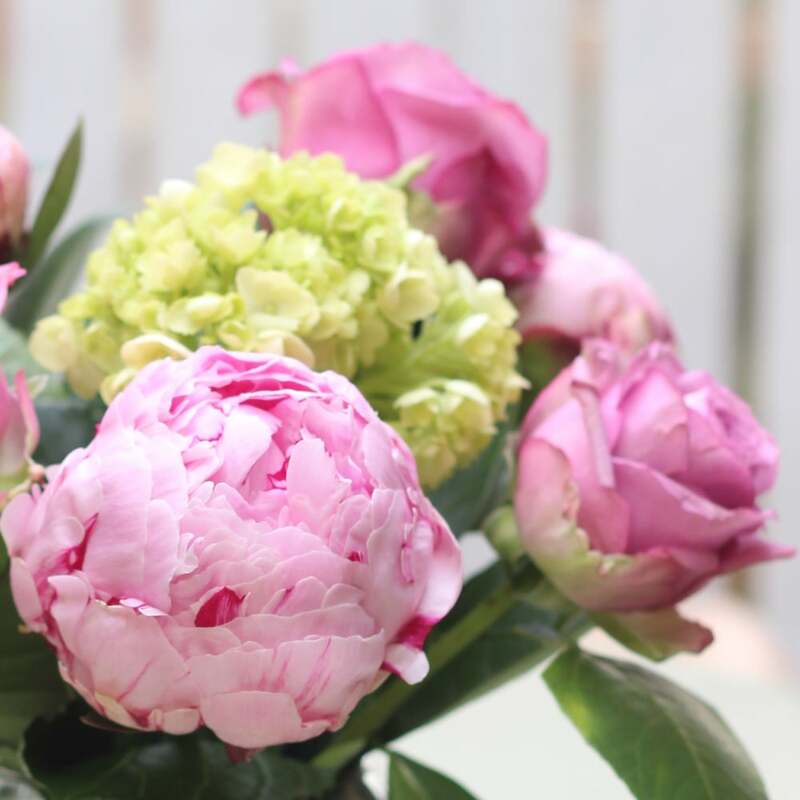 The color of the roses seem to perfectly complement the Peonies, and they are accented with lime green Hortensia or Mini Green Hydrangea. This arrangement is small, compact, and lovely. Are you ready? This one is easy. 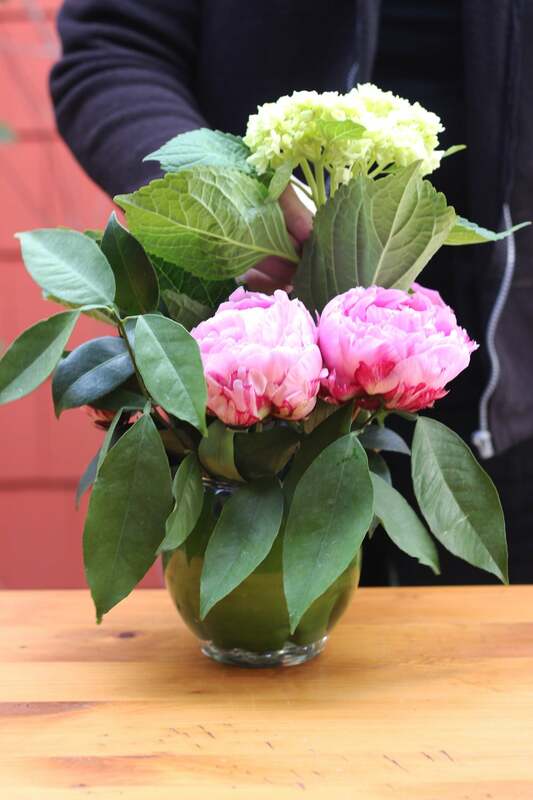 Here are the flowers and greens you will use: Lemon leaf, Camellia stem, Mini Hydrangea, Peonies and Roses. Shape and bend the end of the Tea leaf to stay in a cylindrical shape. 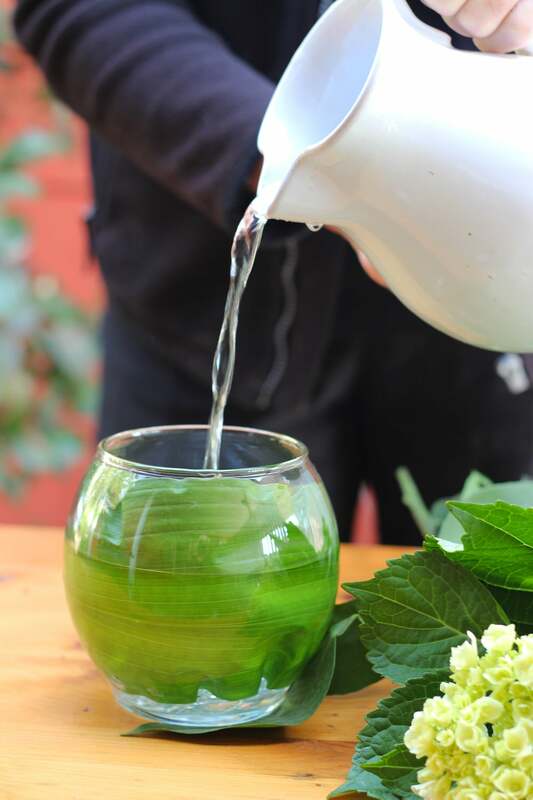 Form a cylindrical shape with leaf and fit into vase, pressing it tight against the glass. Pour small bag of flat clear marble in bottom on vase. Pour water into vase to 1 inch below top. Put Lemon leaf on each side. Put large Peony in front. Put another Peony to the side and Mini Hydrangea behind. Add a rose to the side. Put last hydrangea in a fill in with roses. Make sure it looks good from all sides. You are done. Enjoy this little gem or give it to someone you love!